Military spouses who accompany their servicemembers to Tennessee or Fort Campbell, Kentucky, can acquire a temporary license to practice law in Tennessee under a new provision ordered this week by that state’s Supreme Court. The new rule, which goes into effect Jan. 1, 2016 as part of extensive changes to the licensing of lawyers to practice in Tennessee, was initiated by the Military Spouse JD Network in 2013. 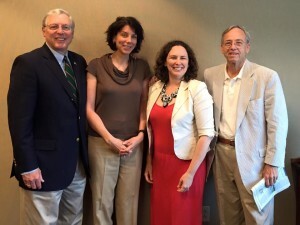 Part of the team of Tennessee attorneys supporting military spouse attorney licensing. L-R: Bob Tuke (U.S. Marines 1969-73), Martha Boyd (U.S. Army 1990-96, Army Reserves 1996-2005), Josie Beets, and Judge George Paine (U.S. Army 1968-70). In April of this year, nine Tennessee attorneys — Judge George Paine, Judge Robert Echols, Martha Boyd, Charles Grant, James Mackler, Kathleen Pohlid, Robert Tuke, and MSJDNers Johanna Thibault and Josie Beets — filed a petition with the Tennessee Supreme Court asking for the Court to implement the MSJDN proposed rule. 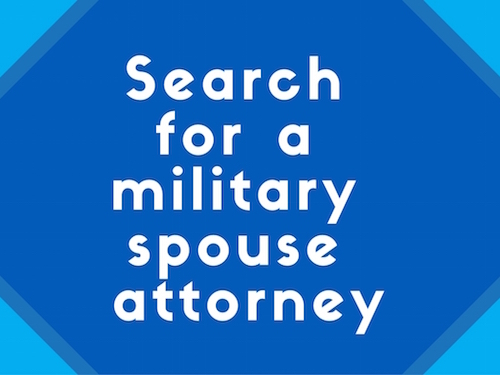 Shortly thereafter, the Tennessee Supreme Court put out a call for public comment on the proposed military spouse admission. The comments in support of the rule included the Tennessee Lawyers Association for Women; the Lawyers’ Association for Women Marion Griffin Chapter (Nashville); the Nashville, Knoxville, and Memphis Bar Associations; U.S. Rep. Jim Cooper; U.S. Judge Martha Daughtrey (6th Circuit Court of Appeals); U.S. Magistrate Judge Joe B. Brown; Judge Hamilton Gayden; Chancellor Carol McCoy; State Rep. John Ray Clemmons, and many others who wrote individual letters of support. 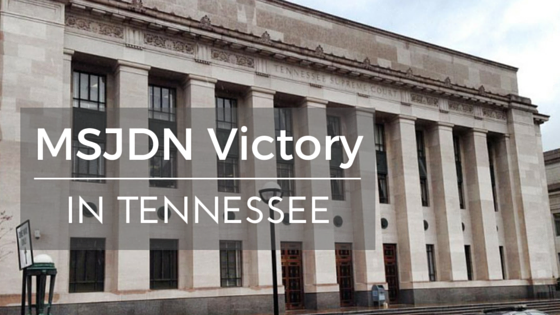 In addition, 139 Tennessee lawyers who are military veterans, including 12 state and federal judges, signed a statement in support of the MSJDN proposed rule. Tennessee’s new provisions follow quickly on the heels of Kentucky’s decision to allow a similar accommodation for military spouse attorneys, providing families assigned to Fort Campbell (which straddles the Tennessee-Kentucky border) with wonderful career support in both states. in active good standing and not subject to discipline in each jurisdiction where licensed. The temporary license to practice law in Tennessee has an initial term of two years, but must be renewed on a yearly basis at the end of the initial two-year term. The license terminates when the servicemember is no longer on military orders for Tennessee or Fort Campbell (with an exception provided for unaccompanied tours). The initial application fee will be $375, and re-registrations will be $100. Read the Tennessee Supreme Court’s news release and order here, and read the military spouse-specific provision here.